Search queries tracking feature added. Undesirable web sites blocking feature added (using the allowed/disallowed resources list). You can either block access to undesirable websites and allow all others, or vice versa, allow loading only specified resources, while blocking others. Email monitoring has been improved. Now you can control mails send via encrypted protocols (POP3S, SMTPS, IMAPS…). Web mail and files upload monitoring feature added. Agent stores all mails send by web browser (gmail, yahoo, hotmail). Social networks tracking feature added. Added the ability to get the current list of applications and processes launched by a user on a monitored computer. Getting the full list of installed applications feature added. Improved the mechanism of agent auto-recovery. When either of the agent’s processes is terminated, it is instantly restored in the automatic mode. Fixes in the program usage report module. Fixed a bug that occasionally resulted in an incorrect time being shown for the total active time of monitored programs. Fixes in the program launch blocking function. Fixed a bug that caused the list of blocked programs to be applied only after the system restart. Preview of screenshots feature added. Displaying screenshots in slideshow mode feature added. Added adjustable speed and direction of slide viewing. Application launch blocking feature added. Making screenshots only in marked programs feature added. Tracking keystrokes only in marked programs feature added. Applications and visited websites sorting by categories feature added (games, entertainment, office, …). Tracking of MSN messages is added. Tracking of Jabber messages from any AIM programs is added. Improved support of Internet Explorer 8. Tracking of incoming and outgoing e-mails from any post clients (Outlook, Outlook Express, The Bat, ...) is added. Now it is possible to make shadow copies of files copied to USB storages or edited on it. Monitoring of printed documents has been improved. Now it is possible to set a password on enter to administrator console of LanAgent Standard. Now it is possible to set a filter on data read from DB in administrator console of LanAgent Standard. Optimized network exchange. Now it will require less CPU resources. File system monitoring has been improved. Users of licensed versions of the programs similar to our product, but which support has been stopped by developers for some reasons (a retirement of the developer from the market, the termination of development or program support, lost contacts with developers) can get LanAgent with 30 % discount. To get the discount described above, it is necessary to be a user of a licensed program which is not supported by developers for some reason and has a functionality similar to our product. An electronic copy of the licence agreement or a copy of documents on acquisition of a licensed product should be provided as confirmation. the offer is valid from March, 30th 2009 to May, 31st 2009. Optimized network exchange. Now data from agents will be received faster. Optimized work with the database. Improved agent installation interface. Now it is possible to specify the administrator's login/password in the agent installation/removal dialog box one time on networks with Active Directory if it is the same on all computers. It will be used automatically during the agent installation after that. Now it is possible to intercept Mail.ru Agent messages. New report types are now available. The administrator part of the program now has a built-in automatic database update. Now the database will be updated to the latest version during the installation of the administrator part. Extended computer operation log: now not only switching the computer on/off, but also Windows logon/logoff, screensaver launch, switching the user are logged. Revised and improved calculated reports: : now it is possible to calculate the total time of active work with the computer and the time of active work in particular applications, , show the "active use"/"idle" diagram and much more. Connecting several security specialists' computers (for viewing collected data). Connecting several computer of the system administrator. Flexible mechanism for distributing rights for viewing information among security specialists. Sending notifications about security policy violations to the security specialist's ICQ or e-mail. Flexible mechanism for subscribing to security policy violations. Built-in report scheduler that can send reports via e-mail. Now you can use the dialog box for scanning the network limited by an IP address range. Now it is possible to save data the contents of documents send to the printer. The screenshot report has been added. The keystroke report has been updated. Data exchange between the agent and the administrator part has been optimized. Now it is possible to poll logs by groups. Now it is possible to update the agent status for a particular computer and for a whole group. The data exchange bug has been fixed in the administrator part. Now it is possible to remotely install/remove agents using the tools of the administrator part. Agents are polled in the multithreaded mode. Now it is possible to monitor file systems on removable media (such as flash drives, USB drives). Calculated analytical reports and data export (for example, in Excel) have been added to the report wizard. Now agent log files are protected against unauthorized access. The security policy violation analysis module has been improved. Now it possible to search logs for information (it is possible to search through both event titles and message text). Now it is possible to set the interval of making screenshots in seconds. Now it is possible to intercept visited sites from Mozilla Firefox and Opera. Now agent log files are protected against removal, copying and deletion. Now "active notification" is available: when the user does something as dangerous as connecting removable media, installing/removing software, the agent part of the LanAgent program sends this information to the main computer without waiting for the command to update the logs. The received events will be displayed in the special active notification history window. You can configure active notification (for what events it should be done) individually for each computer in the special configuration dialog box. Now it is possible to create and configure security rules and, correspondingly, highlight the danger status of user activity in different colors: "green"-"yellow"-"red" (a traffic light) (it is designed to make it easier to control the adherence to security policies regarding the use of computer equipment in the organization). The type of the database used to store logs has been changed. Now you do not have to install any additional components (like BDE) in order to install the administrator part of the program. A special tool for backing up/restoring the database is now available. Now it is possible to remotely install agents on a domain network. The agent installation file is now distributed as an *.msi file so now it is possible to install it remotely on domain networks. You can find the detailed instructions on remote installation in the archived file together with the installation file. Printed documents. The date and time of printing, the name of the printer where the document was printer, the document name, the number of printed pages, and the name of the user who printed the document are logged. Software installation/removal. The following information will be logged: whether it was software installation or removal, the software name, the path to its folder, who and when installed (removed) the software. Connected external media. The connection of the following devices will be monitored: flash drives, USB drives, regular drives, fixed disk drives, memory sticks (such as SD, MMC, etc.). The following information will be logged when a device is connected/disconnected: who and when connected/disconnected the device, the drive letter, the volume label, the file system type, the drive serial number. Now it is possible to add agents by specifying the computer IP address and by specifying the computer name (it was possible to add computer by their IP addresses only). Now it is possible to add multiple agents at once by searching through the specified IP address range. 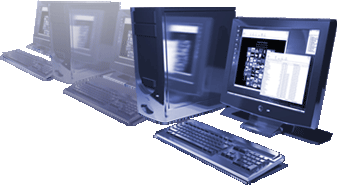 To make it more comfortable to work with the list of computers to be monitored, it is possible to group them (for example, by departments the users of these computers belong to). It is possible to change the settings of agents even if they are currently disconnected (either computers they are installed on are switched off or they are not available over the network). In this case, the settings will be temporarily saved to the registry of the administrator's computer and sent to the agent once a connection to it is established. It is possible to change the settings for multiple agents. It is possible to limit the size the logs on the user computer. It is possible to update logs for one specific user instead of all users at once. It is possible to get a screenshot from the remote monitored computer at any time. It is possible to specify the period to store the data for on in the settings of the program (for example, it is possible to store data only for the last 10 days). All earlier data will be deleted. It is possible to set a filter for viewing the event log (for example, show only records for the last day). It is possible to specify the path to the database. It is possible to back up the database in order to protect information (the log database) against loss, for example, in case of failures. This feature is implemented as a standalone tool. It is possible to compress the database on exit. Now it is possible to set a password for getting logs. Log encryption for sending over the network. Log update speed is increased. Now new records in the table are highlighted. Now it is possible to remove a separate record from the table. Now it is possible to automatically update logs over the network. The bug in the work with the NTFS file system is fixed. Now it is possible to send message to users' computers.